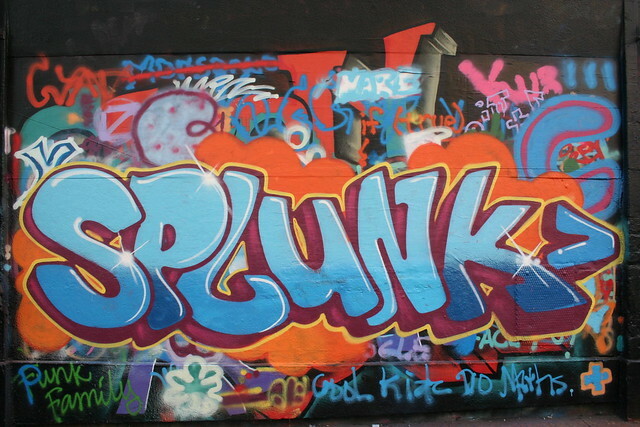 Splunk comes back with more style! We were visited by Splunk last week who purchased the whole package – education, mural tour, T-shirt stenciling and mural production! 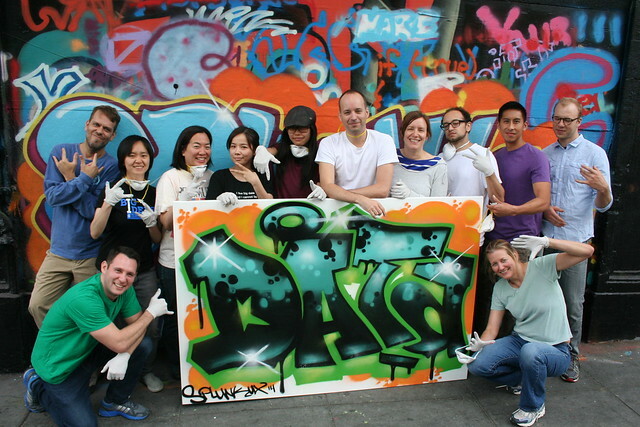 They jumped right in, had a blast and managed to both paint a mural on our 1AM wall and create a take home canvas that says “Data”. Awesome to have you guys! Interested in a team building workshop? Email privateevents@1AMSF.com. « “Becoming Lucid” opens at 1AM Gallery!